Would You Like To Be A Plumber Or A Sewer Drain Cleaning Service Expert? 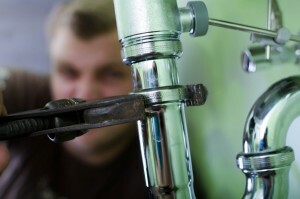 Did you know that there’s a serious shortage of plumbers in our country? There’s more and more plumbing work due to a growing population in America, while there are fewer and fewer plumbers to do those jobs. Okay, forgive the double negative, but plumbing and drain cleaning services will never not be needed. In other words, people are always (always!) going to need fresh water coming into their homes, and always (ALWAYS!) going to require that their wastewater is taken as far away from them as possible. It’s Doesn’t Require Tons of Schooling! If you’re interested in becoming a plumber, you’ll need to follow four basic steps: have your high school diploma or GED, get vocational training, complete an apprenticeship program, and then get licensed. Considering that a four-year college student tends to wrack up $25,000-$50,000 in debt, becoming a plumber makes a lot more sense when you realize you’ll be spending less for schooling, starting work earlier in your life, and probably making more money! So many (too many) jobs in our country are being outsourced, whether they’re informational or manufacturing. But no one will ever be able to outsource plumbing and rooter service! Where do you want to live? Well, we have to admit that Denver is a pretty amazing place, and we’ve been serving it with sewer cleaning for over 75 years. But if you want or need to move away from the area for some reason, you won’t any problems finding a job. There are plumbing and sewer service opportunities all across the country. Basically, anywhere in the country you see a house or business is going to need sewer cleaning eventually. Can a computer take care of your sewer cleaning? Can a robot install your plumbing? We’re certainly a long way away from that! The fact is, rooter service has gotten more technological over the years, since we’re using sewer scopes more and more. But the fact is that someone will always be needed to bring the machines to your house and make sure that they’re taking care of your sewer drain properly. It’s basic supply and demand…there’s more and more work for fewer and fewer plumbers. Plumbers are always going to be needed, and people are happy to spend money when it means that their house will be in order and that their wastewater will go away. Garvin’s Sewer Service will never fleece a customer, and at the same time we’re always sure to pay our service agents a fair salary. All in all, plumbing and sewer service is a good job that fewer and fewer people are interested in. We don’t know why, because it’s an interesting job and provides an incredible service to individuals and society as a whole. Think you have what it takes to join the best team in town? Contact Garvin’s today! https://www.garvinssewerservice.com/wp-content/uploads/2017/02/logo.jpg 0 0 Garvin's Sewer Service https://www.garvinssewerservice.com/wp-content/uploads/2017/02/logo.jpg Garvin's Sewer Service2016-04-02 13:09:332016-04-02 13:09:33Would You Like To Be A Plumber Or A Sewer Drain Cleaning Service Expert?